Home » What Is a Catastrophic Injury? If you have recently sustained a catastrophic injury, you probably have many questions about the best options for your treatment and whether it is necessary to pursue a legal claim. A catastrophic injury is a term typically used to describe a medical condition so severe in nature that you may be suffering from permanent damages. In the majority of cases, a catastrophic injury as described by a doctor refers to damage to the spinal cord or the brain. These injuries can have significant long term and short term impacts on the basic capabilities of an individual. If you have sustained an injury that is serious enough to be debilitating over the course of the rest of your life or has left behind a deformity, you have sustained a catastrophic injury. If someone else is responsible for the catastrophic injury you have sustained, you may eligible to pursue compensation by filing a personal injury lawsuit. You may be legally compensated for the life altering harm caused by another person. The more severe the injury you’ve sustained, the higher your medical costs. You may have had to go through the process of rehabilitation or multiple surgeries. You may even need consistent medication or need to use a medical device permanently. The emotional damage associated with the accident may also be tied to the compensation that your personal injury attorney fights for in court. A catastrophic injury can have a major impact on the rest of your life. It can make it impossible to work and it can make day to day living extremely difficult without supportive devices or other people. Consulting with a knowledgeable personal injury lawyer as soon as possible after you’ve sustained a catastrophic injury is strongly recommended so that you have a clear expectation of what you need to know going forward in order to protect yourself. 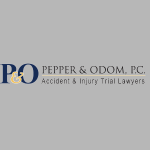 In Mississippi and Alabama, you need to be able to trust your personal injury lawyer. There’s a lot at stake for your future and you should be kept informed about how your case is unfolding. You need a legal team dedicated to fighting for client rights.